Houston’s award-winning 8-piece ensemble The Suffers are excited to announce their signing to Shanachie Entertainment, who will release the band’s sophomore full-length album,Everything Here, onJuly 13, 2018. 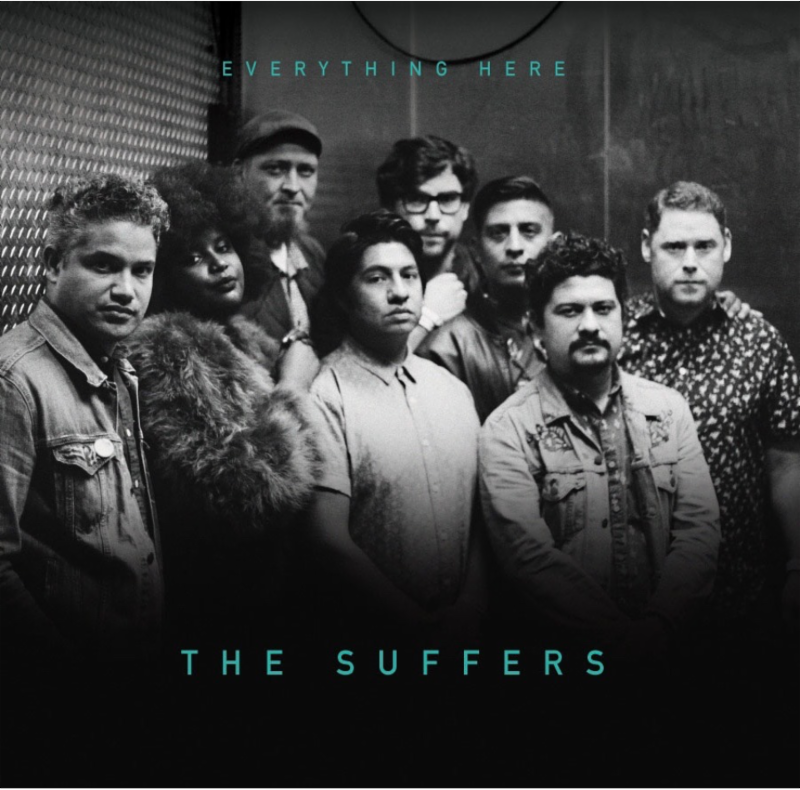 Co-produced by The Suffers, John Allen Stephens, and Zeke Listenbee, the album includes special guests such as Bun B and Paul Wall, along with a duet featuring Lyle Divinsky (The Motet), and additional vocal production from Lili K (Chance The Rapper, Vic Mensa). The Suffers recently teamed up with Okayplayer to exclusively premiere “Do Whatever“, the newest single off of their forthcoming album! “Do Whatever” is now available to stream and purchase via Spotify, iTunes & Google Play. Surrounding the release of Everything Here, The Suffers will embark on a full North American Tour, hitting Sasquatch! Music Festival, Treefort Music Fest, Leaf Festival, Friendly Gathering, Levitate Festival and more along the way. Established in 2011, The Suffers’ lineup was curated by bassist Adam Castaneda and vocalist/keyboardist Pat Kelly, who brought on trumpet player Jon Durbin, trombonist Michael Razo, guitarist Kevin Bernier, percussionist Jose “Chapy” Luna, and drummer/vocalist Nick Zamora, while frontwoman Kam Franklin topped off the group with soaring vocals. The last two years have brought the band to new heights, as they played 300+ shows across North America, Europe, South America, Japan and Australia, visited NPR in Washington, DC for a Tiny Desk Concert, made their national television debut on Late Show With David Letterman, and released their highly anticipated self-titled album alongside performances on The Daily Show with Trevor Noah and Jimmy Kimmel Live! In a short time, the band has progressed from packing Houston venues to accepting invitations for featured performances at Hangout Music Festival, Forecastle Festival, Electric Forest Festival, Afropunk, Pemberton Music Festival, Austin City Limits, Newport Folk Festival, High Water Festival, XPoNential Festival, High Sierra Music Festival, Landmark Music Festival, Voodoo Music + Arts Experience, LouFest, AmericanaFest, UTOPiAfest, SXSW, Free Press Summer Festival, Untapped Festival, CMJ Music Marathon, and more. The Suffers have remained a local favorite, accepting 23 Houston Press Music Awards in the last four years. For further information on The Suffers, please visit: www.thesuffers.com.